On Thursday evening, residents of the complex reported smelling gas. 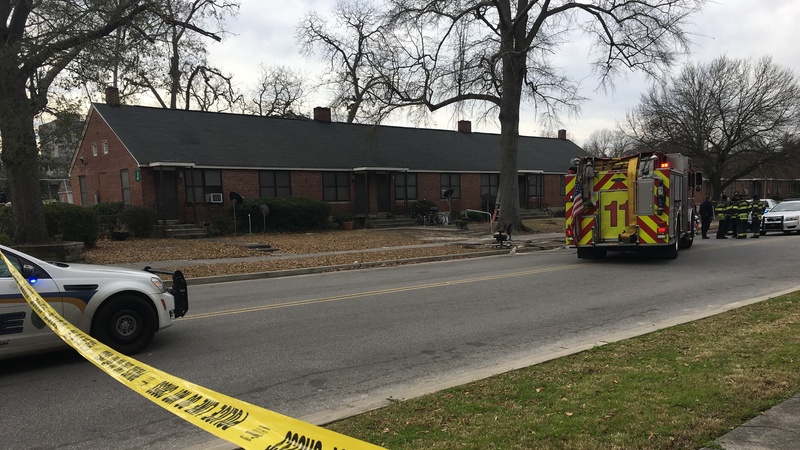 The city's fire department responded and discovered numerous gas leaks, including from stoves and water heaters, as firefighters made their way through the 26 residential buildings that make up Allen Benedict Court. At a news conference on Friday announcing the emergency closure of the apartments, fire Chief Aubrey Jenkins called the leaks "significant" and said the main gas line to the property would be shut off while officials investigate. Gilbert Walker, executive director of Columbia's housing authority, said people have called "frequently" with complaints about gas leaks in the housing complex. The fire department said it responded to at least seven reported gas leaks last year. "Gas is something that we take very seriously, not only in Allen Benedict Court, but in all of our facilities," Gilbert said, noting that many prior calls for service were relatively minor and had been resolved by replacing appliances in the apartments. Allen Benedict Court was built in 1940 to house low-income African-Americans. In an interview with The State, one resident said he regularly kept the windows open in his apartment after "nauseating" odors sent him to the hospital. "It was just this smell you can't bear," Jamie Radden told the newspaper. "It's been going on for a while." The city says it is working to secure shelter for the 411 displaced residents. "We're going to have to do a whole lot really fast to get people into quality housing," Columbia Mayor Steve Benjamin told reporters on Friday. Walker, who promised shelter for all those displaced, said Friday afternoon that the city had secured 40 hotel rooms as it attempts to find temporary housing for everyone affected. Officials said they don't yet have a timeline for reopening the complex. Asked what would happen if the apartments are deemed permanently uninhabitable, the mayor acknowledged it would be a challenge for the city. He said tens of thousands of people in the region are on waiting lists for public housing. "There is not enough affordable housing in the United States of America, in the state of South Carolina or in this metropolitan area to meet the needs of citizens," the mayor said. The Columbia Housing Authority currently houses approximately 15,000 people. In the fall of 2017, the city demolished a separate public housing development from 1940 that was crumbling and contaminated with asbestos and mold. "The traditional public housing from the mid-20th century needs to be replaced," Benjamin told The Post and Courier at the time.